Almost two years after the first generation of Iblazr flashes was announced, the Ukrainian developers behind it are launching a $70,000 Kickstarter campaign for their next big thing, Iblazr². 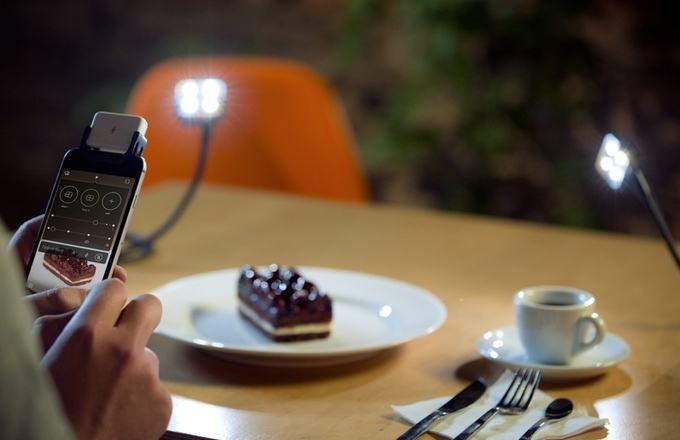 The new 4-LED flash connects to iOS and Android devices via Bluetooth and works with native camera apps out of the box. Available to the first 1,000 backers for just $45, Iblazr² measures 40×28×10 mm and can be attached to your smartphone with a clip shipped with the device. In addition to that, there’s a cold shoe mount to use it with all kinds of digital cameras. Bluetooth connection also allows the flash to sync in the range of up to 25 meters from the phone. The main control element of the new flash is a sensor panel on its back, through which it’s possible to change color temperature between 3200K and 5600K. The main function of the sensor, however, is to actually take photos with native smartphone apps: to do that, you need to double tap the panel, and that’s the only way to make it work. Iblazr² also comes with a companion app of its own, in which it is actually possible to take shots by tapping on the phone screen. Called Shotlight, it’s supposed to be a versatile camera application with a number of manual settings to play with. Among its features is the possibility to sync up to 10 flashes to set up complex lighting schemes. 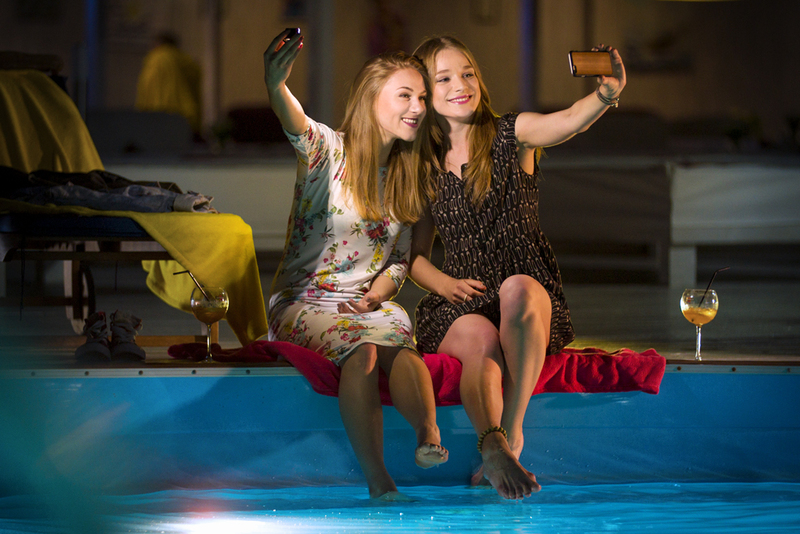 The device can work in the continuous lighting mode for shooting video. Its 130 mAh battery is enough to provide three hours of light or 300 flashes. Iblazr² is the third project of the Ukrainian team, after the first generation of the flash and a phone case Lunecase, which raised about $156,000 each. In their Kickstarter video, the team mentions they’re “very proud of” never raising external funding from venture capitalists.